Preparations Road Races Hengelo GLD 2019 in full swing! The international road races on the Varsselring in Hengelo GLD are a famouw name on the motorsport calendar in the Netherlands. 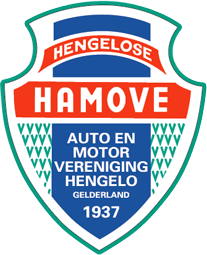 This year the Hamove organizes these road races for the 52nd time on Saturday 11th and Sunday 12th of May. The successful riders parade on Friday evening will also be continued. The event is the opening round of the popular IRRC Superbike and IRRC Supersport championship. Organizer Hamove was very satisfied with the course of the 2018 edition of the road races at Hengelo. Is was a great success with 260 rider registrations fort he event at the Varsselring. The weather was beautiful and the new riders parade and presentation in the center of Hengelo was also a great success. In the meantime the preparations for the international road races of 2019 are already in full swing. The popularity of the International Road Race Championship (IRRC) is growing every year. For example former Grand Prix rider Danny Webb competed in the IRRC Superbike class last year and he also won the title. In the IRRC Supersport the famous Frenchman Matthieu Lagrive became champion. Lagrive has in his career already been the multiple world champion Endurance and competed at the front in the World Supersport. The number of riders in the IRRC is growing and also the field gets stronger and stronger every year. Of course is the regional team Performance Racing Achterhoek present. The team of Tonny Wassink will ride with Virgil-Amber Bloemhard, Ilja Caljouw and guest rider Frank Gallagher. In 2019 the IRRC kicks off the season again at Hengelo, before the championship goes to the Czech Republic, Finland, Germany and Belgium. This year the public will be entertained again with many races. The qualifying will be on Saturday 11 May and afterwards there will be two races. On Sunday there are no fewer than fifteen races on the timetable, making that the spectators gets absolutely worth for their money. Also the BeNeLux Trophy (former BeNeCup) will come to the Varsselring. That makes that we have four Superbike en Supersport races again on Sunday. The Dutch Sidecars, NK Classics-IHRO, 2-Stroke class and Camathias Cup are also on the program. New this year is the arrival of the SuperTwins, a popular racing class in Germany and Belgium with two-cylinder engines. All categories will ride two races during the race weekend. The new riders parade was a success in 2018. The riders went from the circuit with their bikes to the Hengelo village center to present themselves to the public. The event was well attended and will therefore be continued in 2019. This year the riders presentation will be on Friday 10th of May at 7pm in the village center of Hengelo. The event will take place shortly before the start of the race weekend, so the Hamove expect that all the big names will be present! The Hamove works to continuously on safety and improvements to the circuit, but the organization is also working at a new warehouse near the famous Mill. With this new warehouse, the Hamove can with continue to improve its professionalism. And this larger warehouse also offers more technical possibilities. In addition to the action on the track, there is also plenty to do for the children in the paddock. There is a bouncy castle and mini cross track. Saturday evening there is plenty of fun in the paddock with live music in the race café. Around the circuit the races can be perfectly followed at the grandstands and there is a videowall at start and finish. With that videowall you can also follow the riders at the back of the circuit. If you don't want to miss anything at all, you can also keep a close eye on all the laptimes and results through the livetiming app on your phone. A Sunday ticket for adults is 20 euros, but you can now also order it online for just 15 euros. Children up to 12 years old have free access and youth from 12 to 18 years pay 10 euros at the desk. The costs for a weekend tickets are 25 euros, but you can order this until 5 May at www.hamove.nl/tickets for 20 euros. So order your tickets online and we hope to see you on Saturday 11 May and Sunday 12 May at the Varsselring! From now on it is possible to register for the 52nd international road races on the Varsselring. The international road races on the only street circuit in the Netherlands will take place this year on 11 and 12 May. HENGELO - Zondag 25 november werd in het buitengebied van Hengelo Gld. de jaarlijkse Offroad rit gereden. Helaas liet het zonnetje zich niet zien, het was een echte najaarsrit. De opkomst was groot en daar was men bij de Hamove zeer tevreden mee. Aankomende zondag is het al weer zo ver: de 26e offroad van de HAMOVE. De vrijwilligers zijn vorige week al begonnen met het uitzetten van weer een prachtige route. Als we de weerberichten moeten geloven, wordt het een mooie rit! LET OP: Procedure voor inschrijven verandert! With more than 260 registrations, beautiful weather and exciting races, organizer Hamove is very pleaed with 51st international road races at Hengelo GLD. Nigel Walraven, Thijs Peeters, Matthieu Lagrive and Bennie Streuer with Gerard Daalhuizen became the big winners during te races on the Varsselring. De 51e internationale wegrace in Hengelo GLD gaat bijna van start. Zaterdag 5 en zondag 6 mei is er volop sensatie op de Varsselring met maar liefst vijftien races en ook veel activiteiten naast de baan. Organisator Hamove zoomt in op de kanshebbers voor de overwinning. Wonesdag 11 april hebben de heren van Bedrijven Kring Bronckhorst (BKB) een bezoek gebracht aan onze vereniging. Deze ledenavond had de BKB een apart programma voor dames en heren. Nooit eerder georganiseerd, maar erg leuk zo bleek. De heren verzamelden zich in de Varsselse molen het clubhuis van de HAMOVE. De Varsselring wederom goedgekeurd voor het racejaar 2018! Vandaag heeft de HAMOVE de KNMV op bezoek gehad voor de jaarlijkse circuitkeuring van ons stratencircuit de Varsselring. Het circuit van 4878 meter kenmerkt zich door lange rechte stukken en haakse bochten, maar heeft overall wel 16 bochten. De veiligheid voor zowel rijders als het publiek staan bij de organisatie hoog in het vaandel. Tijdens deze jaarlijkse keuring wordt dan ook beoordeeld welke maatregelen hiervoor moeten worden getroffen en of er situaties veranderd zijn ten opzichte van voorgaande jaren. Beide partijen zijn enthousiast over de samenwerking en verheugen zich op een mooi race evenement op 5 en 6 mei.